Missing Dates is a companion piece to the stage plays Japes, Japes Too and Michael. Set in their North London home, it tells a different version of the story about the love of two brothers for the same woman over more than twenty years. 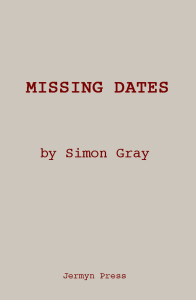 Missing Dates is available as an ebook on Amazon and Google Play.